Even just walking back to the locker room can be intimidating. One time, I tried a new Equinox location in New York, and I accidentally walked into the mens locker room because I was trying to appear chill and like I knew where I was going (spoiler alert, it was mortifying, and I left without working out). But once you get comfortable with where everything is and you find your own favorite locker, it doesn't necessarily mean that going out onto the gym floor feels safe and welcoming. There are tons of different machines, lots of gym personalities walking around, and it seems like everyone except you, knows what they are doing. This was certainly my experience for a long time. But after I become a trainer and spent thousands of hours hanging out on a gym floor talking to people, I learned some oddly comforting truths about people and working out. These 6 truths will help you feel less self conscious in the gym. Truth #1: Everyone is self conscious. Everyone. It didn't matter if I was meeting a high powered lawyer or a shy kindergarten teacher, every single person I talked to said they felt self conscience in some way at the gym. For some it was changing in the locker room, and for others it was not feeling confident in their form at the dumbbell rack. Everyone has a unique trigger, but you can rest assured that you aren't the only one who feels a little out of place or self conscious at times. Truth #2: No one is born at the squat rack. Lifting weights is not intuitive, common knowledge, or easy to pick up in an afternoon. No one is born a fitness expert. If you see someone who is doing advanced exercises, or seems to be very well versed in the gym, know that it's skill they've been honing for years. It's like when you start a new job. At first you don't know how to execute your day to day, you aren't sure what the culture is, and you might be nervous to give a meeting update because that cute guy from accounting will be there. But it gets easier over time, and the gym is no different. As you learn, and as you go consistently, it will stop feeling new and scary. Truth #3: Everyone has a different goal. It can be easy to look at what someone else is doing and either secretly judge them because it looks weird, or be incredibility intimidated because they are doing things that you have no idea how to do. But keep your own goals in mind before comparing yourself to the stranger next to you. If you want to learn to Olympic lift (this emoji...🏋️‍♀️) that's great! If you feel like this photo is your mantra for life, that's amazing! But if you don't (like myself), don't worry that you aren't Olympic lifting or sleeping at the gym. Stay on track with why you are working out, and you just do you. Truth #4: No one is really watching you. This one doesn't feel true, and sometimes there is a creepy guy over in the corner and that's just unfortunate, but for the most part, no one is actually following what you are doing (or not doing). They are worried about their own workout and what happened with their boss at work earlier that day. People are self absorbed, and at the gym this is good thing. It means that realistically, no one is secretly judging you or laughing at your form. You belong at the gym just as much as anyone, so don't be afraid to take up a little space and work up a good sweat! Truth #5: A plan makes all the difference. The best way to feel less self conscious in the gym, is to go with a plan. If you know the exact exercises you are going to do that day, it can be exciting and is something you actually look forward to. If you need help with a plan, check out our WRK app (psst, the 12-week Foundation program is only $1 right now!). 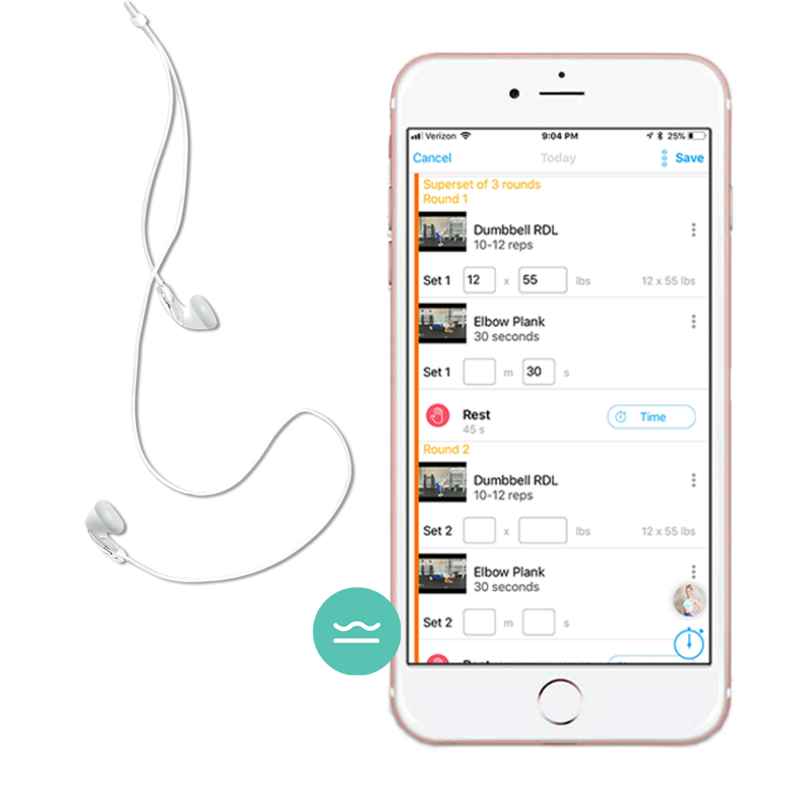 A huge reason I created this app was because I wanted to give women better tools for navigating the gym. But even if you don't use my app, get a plan and stick to it. Not only will you see better results, you will instantly feel confident, and you will have a better workout for it. Truth #6: Asking for help does not mean you are inadequate. This was a huge realization for me. I'm very type A, and for some reason I felt like asking for help at the gym somehow meant I was failing at at self care, or failing at being "healthy". But once I got over my weird pride about it, I realized how complex and deep the field actually is, and then I didn't stop asking questions (hence the reason I decided to go all in). Proper exercise progression, the correct use of machines and free weights, and when to do what exercise all requires a great deal of knowledge. If you have no interest in becoming a personal trainer yourself (it's a full time job, trust me, I should know! ), it's OK to ask for help and guidance! It in no way means you are uneducated or not able to take care of yourself properly. I hope these truths are as reassuring for you as they were for me and many others. At the end of the day it's good to remember that we are all just people and we all have our weird quirks. Let that knowledge be comforting and help you feel less self conscience at the gym.